to make preparing for the IELTS worthwhile? 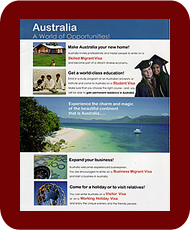 Most people wishing to come to Australia on an Employer Sponsored or Skilled Migration Visa need to have Competent English - an IELTS score of 6. "Competent English is dieenfd as hinavg a gralneley evticfefe camnomd of Egisnlh ditepse smoe incieraccuas, ipnapriproacies and musnredstindengs and hinavg the alitiby to use and usatnnderd filray celpomx lugagnae, prarlaluctiy in filaimar stuitonans". This is what it says.... Competent English is defined as having a generally effective command of English despite some inaccuracies, inappropriacies and misunderstandings and having the ability to use and understand fairly complex language, particularly in familiar situations. If you don't have Competent English, there is no point in thinking about taking the IELTS Test. You have to improve your English to a reasonable level first by learning English in the usual way, through a standard course and/or a standard set of textbooks. Even if you have Competent English, PREPARE FOR THE TEST FIRST! Once you have improved your English sufficiently, you could go and register for the IELTS Test, but we don't advise it! You may be able to pass the test, but there is no doubt that you will do a lot better if you do some solid test preparation first. Without preparation you may get a score of 6 on the IELTS and get no points on the Points Test. With preparation, you could well achieve a score of 7 (or 8) and gain 10 (or 20) points on the Points Test. Why? Because when you are properly prepared, you understand the format of the IELTS, which means that when you go and sit for the test you know exactly what to expect and what to do. Furthermore, by practising for the test using exercise material specifically designed for the IELTS you will inevitably improve your English and you'll be doing so in the most functional way. On the next page we have outlined some options for doing your IELTS preparation.